custom design woodworks » Blog Archive » Wood Duck is Complete! 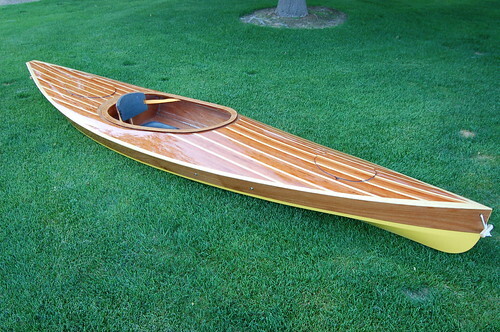 We just completed a kayak design by Eric Shade, the Wood Duck 12. The deck is strip built of California redwood and Eastern White Pine and the hull is Okume marine plywood. She is 12 feet long and weighs just 36 pounds.